Eleaf ASTER TC MOD is powered by a single 18650 battery, can reach to max 75W Output.It features upgradable firware and verious modes, can support VW/Bypass/Smart/TC modes. 5 colors for choice. 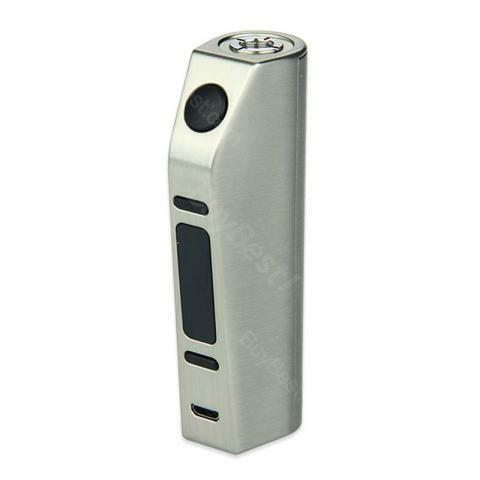 Eleaf ASTER TC MOD is powered by a single 18650 battery, can reach to max 75W Output. It is a simple mod, which comes with only a single fire button outside, nothing else, perfect for those who don’t want complicated and advanced devices. It features upgradeable firmware and various modes, can support VW/Bypass/Smart/TC modes. The dual circuit protection and reverse polarity protection make the device more reliable. 5 colors for choice. Another great Eleaf product for starters as well as vape gurus. The Aster is an easy-to-handle Box Mod that features everything you need as a beginner. The production value is great, the display easy to read and the Aster itself rests very comfortable in your hand. I love the design and the postition of the fire button, which makes the Aster a relaxing experience. It also has a magnetic cover to change the batteries in just a few seconds. Additionally, the firmware is easily upgradable, so this is one for the future. If you're looking for a high quality product for little money, the Eleaf Aster may be right up your alley.